I know that the holidays are over but I love that I was able to see this movie this past week. “The Holiday”…I have seen this movie just a few times now. I really love how the characters are so different from one another. One is very career determent and doesn’t shed a tear for a man while the other is so insecure and let’s people walk over her especially a specific man. 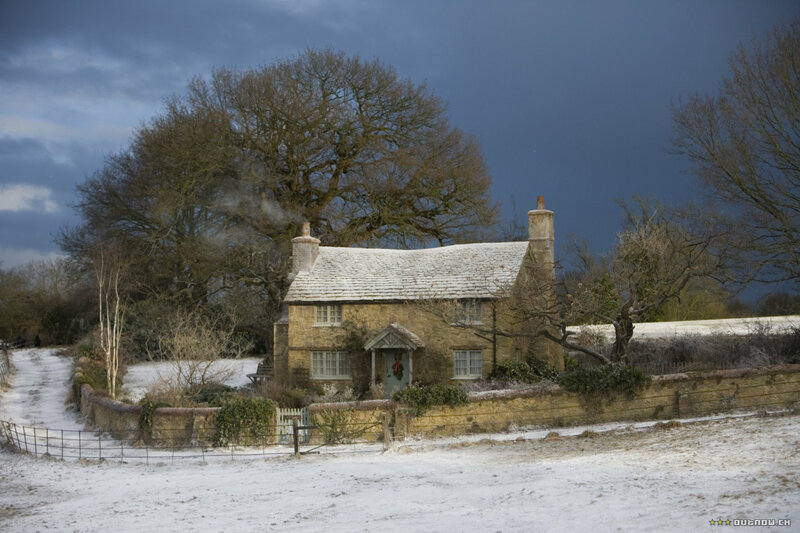 What I loved most about the movie was their homes: both very different yet I could imagine myself living in both. 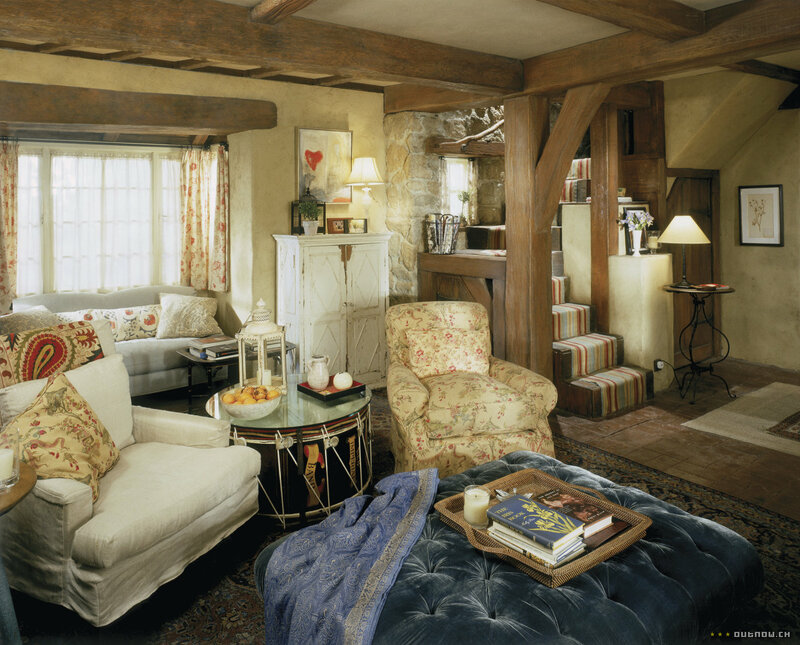 One very cozy located in a village in England and the other contemporary located in LA of course. 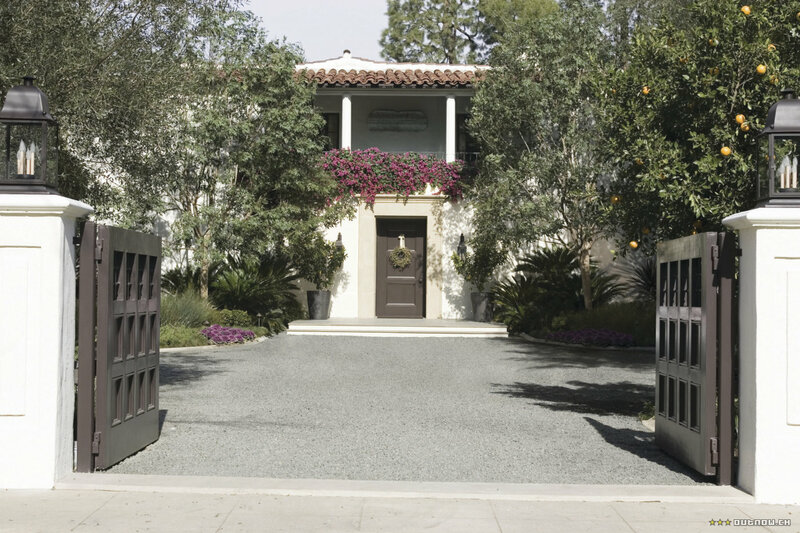 Even though Iris’s house doesn’t exist in real life I really love the exterior. Let’s move into the interiors. This is Iris’s cozy, eclectic living room. Lots of patterns and color. The natural stone on the fireplace wall. I really like the wood beams on the ceiling. 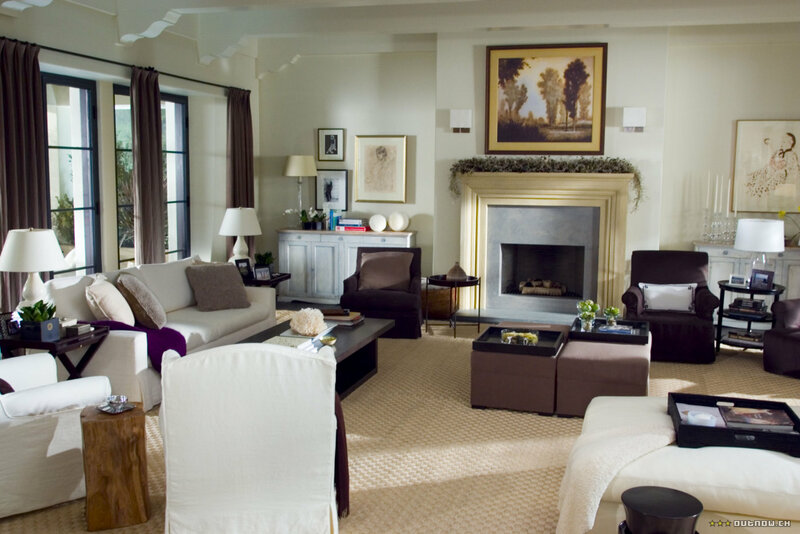 Compared to Amanda’s very contemporary neutral living room. Solid colors the only pattern I see is on the rug. Amanda’s enormous kitchen with the state of the art appliances. 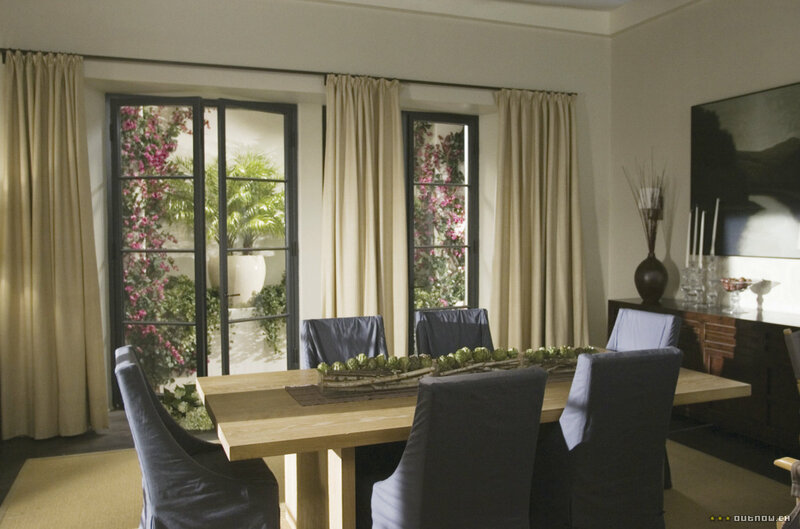 Of course a formal dining room. The bedrooms: I love the fireplace in Iris’s bedroom but I am not a big fan of the bed frame. I have to go with Amanda’s bed frame here. I really love the simplicity of her room. Let’s end with the bathroom. While Amanda’s is big. Isn’t it interesting how both have a soak tub and almost the same bath tub filler? Have you seen the movie? Which house would you prefer to live if given the choice? 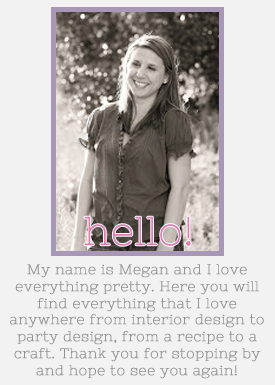 I just love your blog!!! How in the world did you get all the pictures? Yes...seen it a million times and loved it!!! I could definitely live in both, depending on my mood and the weather...lol!!! How did you know Iris's house is not real? I was hoping it was, and that some day I would just be walking by on a trip to England, and boom, there it would be...LOL!!! I absolutely adore this darling movie!!! 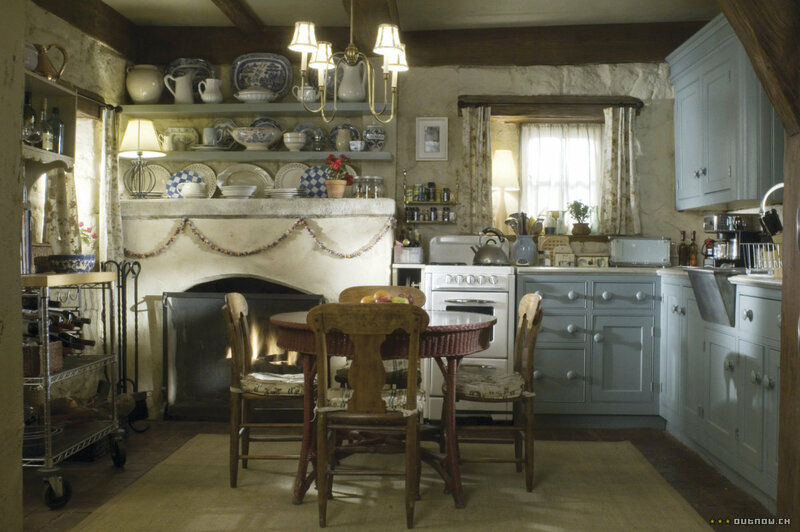 And hands down I would live in the cottage...it's absolutely perfect and adorable in every way! I'm definitely not enough of the "less is more" girl to go with the modern/sleek stuff! Color and pattern are too much fun! (c: Hope you are having a fantastic new year, my dear!